Dancing for Pleasure is a members and non-members social dance club based in Dorset, running regular dancing events for all types of dancers including Ballroom, Latin, Sequence, etc. Originally founded by Keith Porter, who sadly passed away in June 2015 and is now run by his daughter Barbara, who is following on in her fathers’ footsteps. 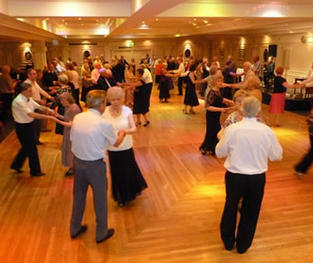 Dancing For Pleasure also organises dancing excursions throughout the UK with trips to great dance venues such as Blackpool Tower Ballroom, The fabulous Warwick Ballroom at The Victoria Hotel in Torquay and other great places.